Here is a custom sign that I made for a church friend as a gift for her daughter. 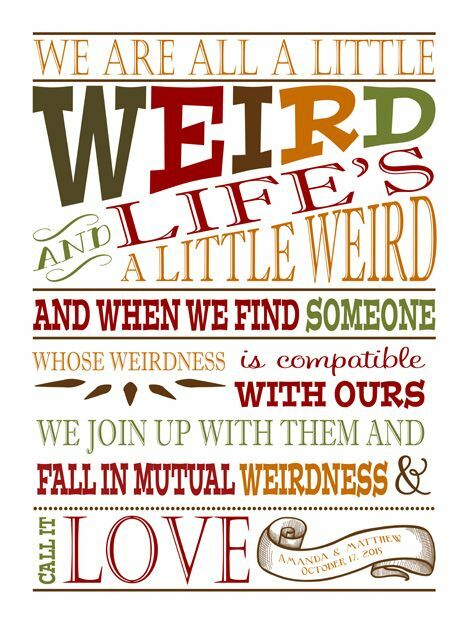 This Dr. Seuss quote was used on her daughter's wedding invitation and my friend wanted to turn it into a large image with fall colors so that she could hang it in her home. She said her daughter loved it so much she carried it back on the plane instead of letting my friend drive it to her right before the wedding with the rest of the gifts from her shower.